In the tradition of E. M. Forster's "Aspects of the Novel" and Milan Kundera's "The Art of the Novel," "How Fiction Works" is a scintillating study of the magic of fiction--an analysis of its main elements and a celebration of its lasting power. Here one of the most prominent and stylish critics of our time looks into the machinery of storytelling to ask some fundamental questions: What do we mean when we say we "know" a fictional character? What constitutes a telling detail? When is a metaphor successful? Is Realism realistic? Why do some literary conventions become dated while others stay fresh? 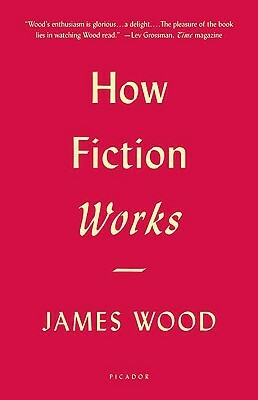 James Wood ranges widely, from Homer to "Make Way for Ducklings," from the Bible to John le Carre, and his book is both a study of the techniques of fiction-making and an alternative history of the novel. Playful and profound, "How Fiction Works" will be enlightening to writers, readers, and anyone else interested in what happens on the page.